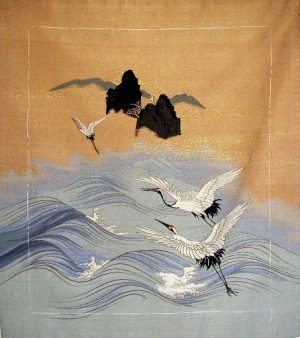 This unusual Silk Fukusa, or formal gift cover, has been hand woven of Chirimen Silk and hand dyed of natural sources. 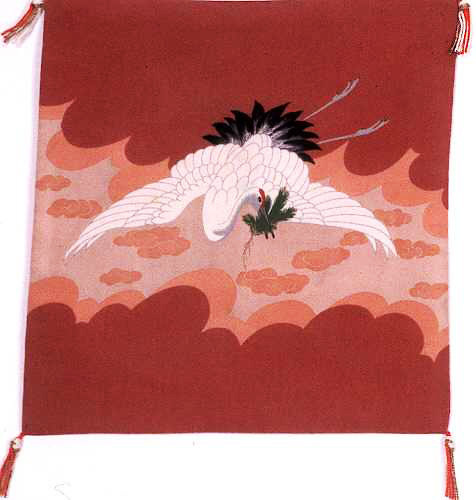 Red was a sacred color in Japan and was considered medically protective. 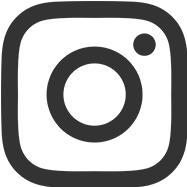 The background dye color of a salmon shade of red is quite rare and was, in all probability, obtained from the madder plant and mixed with safflower. 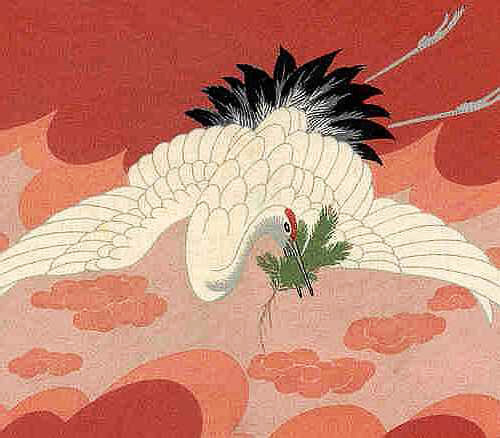 The hand painted flying Crane, “Tsuru,” with the pine bough in his beak, is a symbol of longevity and good fortune. 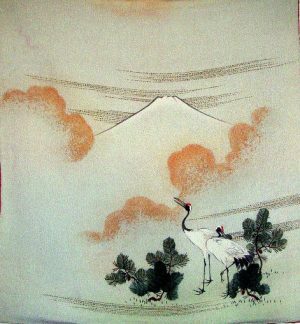 The design has been freely drawn in the paste resist dyeing technique of “Tsutsugaki” It is a very laborious and time consuming process favored by the upper classes when they commissioned their gift cover from famous artisans. 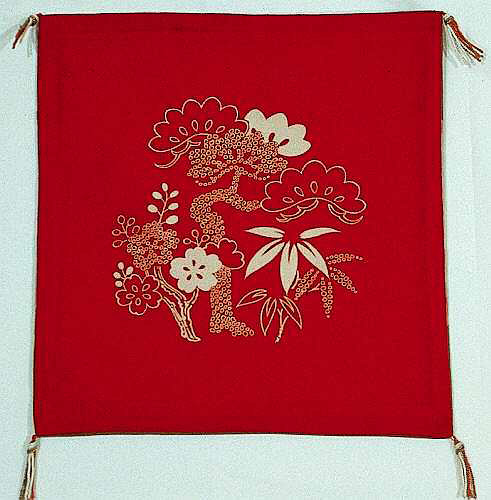 The reverse of the Fukusa is bright red Chirimen Silk with a design in white of Pine, Bamboo, and Cherry Blossoms: the three friends of Winter. 12" wide x 13" high, not counting the tassels. 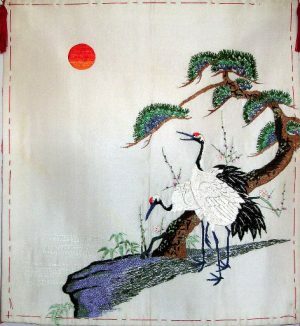 Fabulous wall hanging or framed art work. The Fukusa is actually 2 separate sides sewed together at the outer seam with the inclusion of the tassels which would also make an extraordinary pillow. 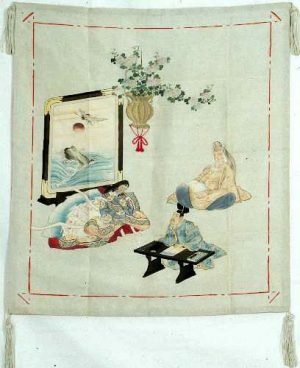 The Crest on the reverse side of the Fukusa would also make a dramatic framed work of art.